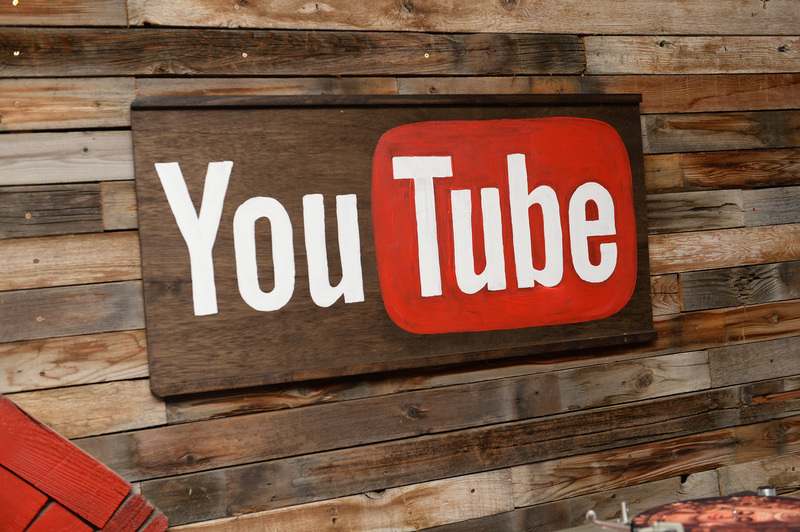 Since its launch, YouTube has become one of the more fascinating and dynamic sites in the modern media landscape. With a community made up of a large and generally adored group of Internet video producers (and the fans who interact with them), YouTube has thrived on a spirit of independent creativity and creator-fan collaboration. Which is why the recent explosion of reports of emotional and sexual abuse within YouTube is so devastating. On March 11, news that musician Tom Milsom — who found much of his fame through YouTube — had allegedly been engaging in a sexual, abusive, and coercive relationship with an underage girl went public. She was 16, and he was 22. YouTuber Hank Green has written that Milsom admitted the relationship to him, but the only public response Milsom has made has been through a series of deleted tweets. In many ways, it felt like a sequel to the scandal that erupted a few years earlier when YouTube star Mike Lombardo was first arrested and charged after exchanging explicit pictures with underage fans. But I doubt anyone predicted the ways in which the Milsom situation would spiral from there. After Milsom's alleged relationship rocked the community, claims against YouTuber and musician Alex Day cropped up, followed by similar allegations against Alex Carpenter, YouTuber and leader of Wizard Rock band The Remus Lupins. Emotional abuse accusations against Luke Conard, YouTuber and member of the band ALL CAPS also surfaced. A few false reports, unfortunately, were issued among the rabble (and then were thankfully discredited), but many allegations have been backed up — outside a court of law, that is — either through claims by the accused themselves, or through corroboration from other victims. Though Carpenter has not yet publicly responded, Conard recently released a statement through his Tumblr in which he says all sexual acts were consensual. Until yesterday, I thought that I had had only appropriate, though occasionally manipulative relationships with women. However, the model of consent that I followed, not that I specifically thought about it at the time - was that only 'no' meant 'no.' That is not what consent is. After a few days of chaotic discussion via mediums like Tumblr and Twitter, the aforementioned Green (one of the most influential voices in the YouTube community) made a video highlighting some of the issues brought up by the events, discussing the ways in which chaser-chased dynamics — romanticized across our society but perhaps exacerbated in these cases — can lead to a muddling of very crucial consent lines, especially when you add in fan-creator relationships. "[Sexual abuse] is ubiquitous, and it needs to not be, because it holds us back as a culture. We have to rid ourselves of that outdated and rotten conception that sexual relationships are a predator-prey things." Though none of us can act as judge or jury, what's clear is that there are a lot of invested, shocked, and confused people listening. Everything that's gone down in the past few weeks has come to highlight the way communities — online or off — interact with narratives of abuse: Those narratives are often ignored for long periods of time, then eventually (or, rather, hopefully) discussed more openly and honestly. Sadly, from college administrations offices to the military, not a lot of communities make it to that second step. In these past few weeks, many of us have felt confused, angry, and saddened at the revelation that abuse may be so prevalent in our YouTube community. But I have also been buoyed by these responses, the confessions of the abused, and by victims having such a powerful platform for their stories. I have considered myself a member of this community in various capacities for a number of years. It's a space that's had a huge impact on me, and on thousands of others who depend on the site for a sense of open community. Which is why the accusations of these young women break my heart. Let’s establish the facts, I was 16 and he was 25. I said this to a friend the other day and I said, when you’re 16 you don’t know 16 is young. When you’re in your twenties you know 16 is young. I’m in my twenties now. I know 16 is young. I don’t want to take this further. I just wanted my word out there in the hopes that other people who have been abused emotionally, sexually or physically by these people who have a great deal of influence over a large number of teenage girls won’t be as afraid to come forward. It’s time to stop letting things like this happen. As a broader culture, we can learn a lot from what's happening — whether we consider ourselves a member of the YouTube community or not. After all, as standards of what constitutes consent and abuse evolve, so too must our discourse around it. Most of all, if you find yourself experiencing abuse, please don't be afraid to speak up.